Australian Prime Minister Tony Abbott immediately seized upon the attack on the Charlie Hebdo editorial offices in Paris to foreshadow further boosting the vast powers of Australia’s police-intelligence apparatus and expanding the country’s frontline participation in the US-led war in Iraq and Syria. 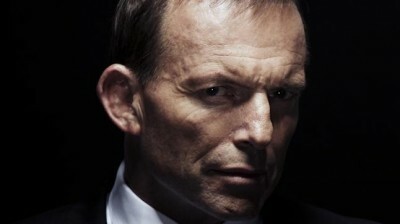 While claiming to speak in defence of free speech and other supposed “precious values” of “Western civilisation,” Abbott sought to justify a barrage of measures that abrogate free speech and other fundamental democratic rights, along with stepped-up involvement in the renewed drive by American imperialism to establish hegemony over the Middle East. Even before the basic facts surrounding the Charlie Hebdo attack in Paris were known, Abbott lumped it together with recent incidents in Australia, despite the obvious differences between them. Abbott not only echoed, but amplified, the responses from the US, British and French governments, declaring that a global “war” had been launched against the “freedom” of the Western world. “Sadly, we can expect more of this because the ISIL [also known as ISIS, or Islamic State of Iraq and Syria] or Da’ish, as they call it in the Middle East, death cult has declared war on the world,” he said. This is yet another effort, on the basis of unsubstantiated claims, to promote public fears of terrorism and whip up anti-Muslim hysteria. Whatever the affiliations of those responsible for the Charlie Hebdo and other attacks in France—which remain unclear—neither of the Australian incidents was part of an assault organised by ISIS. The Sydney siege involved a disturbed individual, long known to the police and intelligence agencies, while the 17-year-old young man shot dead by police in Melbourne appeared to be another deeply troubled person, who had been under close police surveillance. Abbott gave another indication that his government is preparing to publicly accept the Obama administration’s request to send more troops into the Iraq-Syria war. “As you know, we have a strong Australian military contingent in the Middle East right now to tackle the Da’ish death cult at its source,” he told a media conference. By these “interests,” Abbott means the Australian ruling elite’s unconditional alignment with the militarist agenda being pursued by Washington. This consists of propping up the puppet pro-US regime in Iraq, ousting the Assad regime in Syria and securing a stranglehold over the region’s oil and gas reserves. Just like the lies and fabrications, such as “combatting terrorism” and “weapons of mass destruction,” used to justify the invasions of Afghanistan and Iraq more than a decade ago, the initial claims that the new war was a “humanitarian” mission to save the endangered Yazidi minority have proven utterly false. While Abbott did not elaborate, Dan Tehan, the government’s chairman of the Parliamentary Joint Committee on Intelligence and Security, backed his call and specifically invoked the widely opposed bill before parliament to retain all Internet and social media “metadata” for two years so that the spy agencies can trawl through it. This proposed mass surveillance is part of a far-reaching assault on basic democratic rights, designed to suppress unrest under conditions of deep popular opposition to the official agenda of austerity and militarism. The three bills rubberstamped by parliament last year, all on the pretext of combatting ISIS, include lengthy jail terms for supporting “subversive activity” in any country, or “promoting” terrorism, which can be interpreted as opposing Australia’s military engagement in the Middle East. Other provisions permit the spy agencies to covertly take control of entire computer networks and impose jail terms of up to 10 years on anyone, including a journalist, who exposes any aspect of their wide-ranging undercover operations. This is from a government that has imposed a systemic blackout of all coverage of the militarised operation to repel or incarcerate asylum seekers fleeing persecution, taking to a new level the bipartisan assault on the fundamental rights of refugees. While claiming to defend pluralism, Abbott is clearly demonising Muslims and inciting anti-Islamic xenophobia, which only serves to divide the working class in the face of the drive to austerity and militarism. The prime minister also represents a political establishment that has fully supported the persecution of all those, notably WikiLeaks founder Julian Assange and US National Security Agency whistleblower Edward Snowden, who have helped expose the war crimes, atrocities, torture and global spying activities of the “civilised” powers. The professed bipartisan commitment to freedom of expression and other “precious values” is part of the “free speech” hypocrisy being peddled by governments and the media internationally to exploit public fear and confusion and whip up support for authoritarianism and militarism.